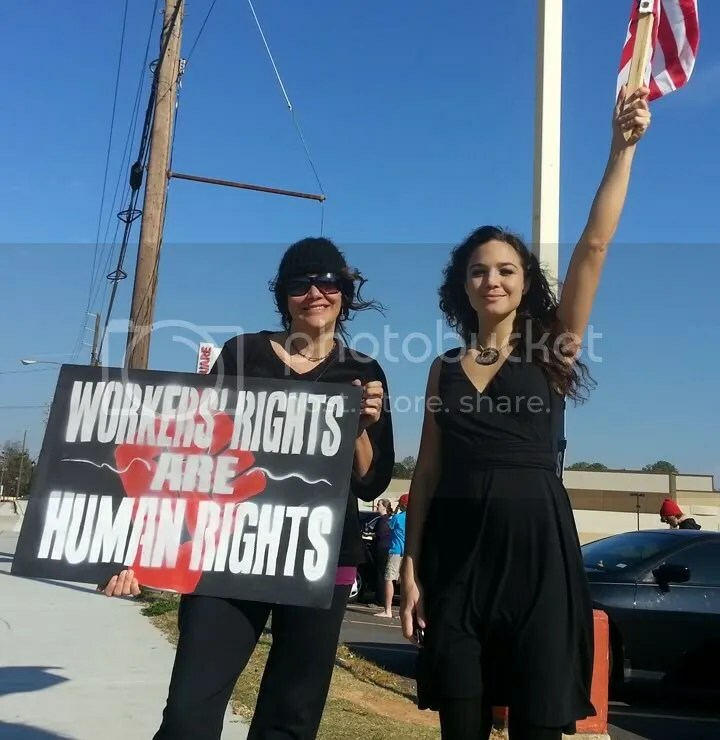 Workers’ rights are human rights. That’s what one hand painted sign said at a protest outside a Wal-Mart store in Decatur, Georgia, Friday. 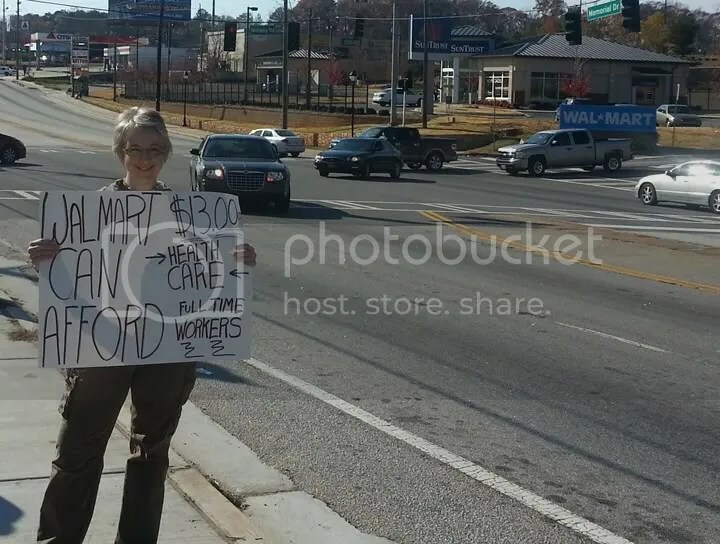 About two dozen protesters stood on the sidewalk across the street from the mega-retailer’s store in this suburb, just east of Atlanta, playing drums, waving flags and signs, and shouting at motorists to make them aware of what they see as the questionable labor practices of the world’s largest retailer. 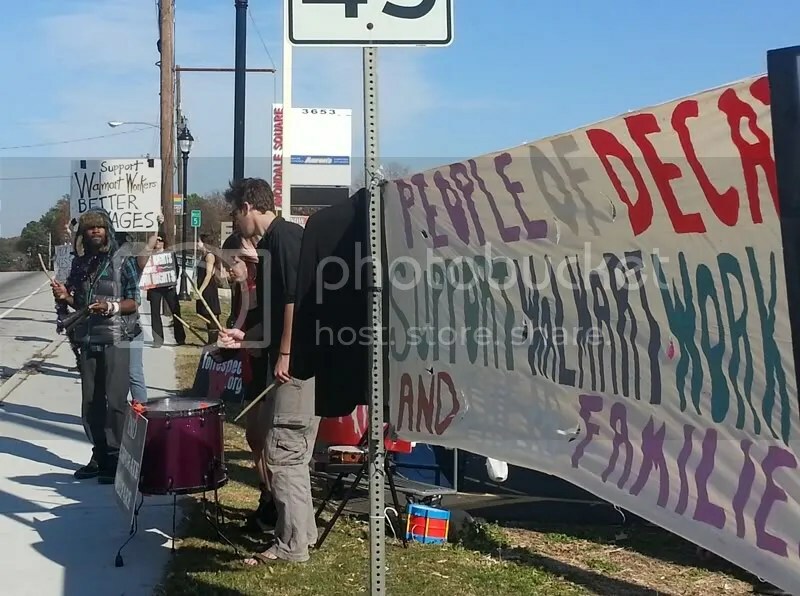 “We wanted to show our solidarity with Wal-Mart workers,” said Diana Eidson, who took part in the event on the unofficial kickoff day of the holiday shopping season. Many Wal-Mart associates around the country walked out, Friday, to demonstrate their own dissatisfaction with their employer. According to Wal-Mart, as of Friday morning, after their Thanksgiving night early bargain hunter’s opening, only 50 employees had walked off the job. Still, reports of hundreds of protesters hitting the pavement, Friday, continued to come in from around the country all day. Huffington Post reported that in the Los Angeles area alone, more than 70 workers from nine stores walked out.